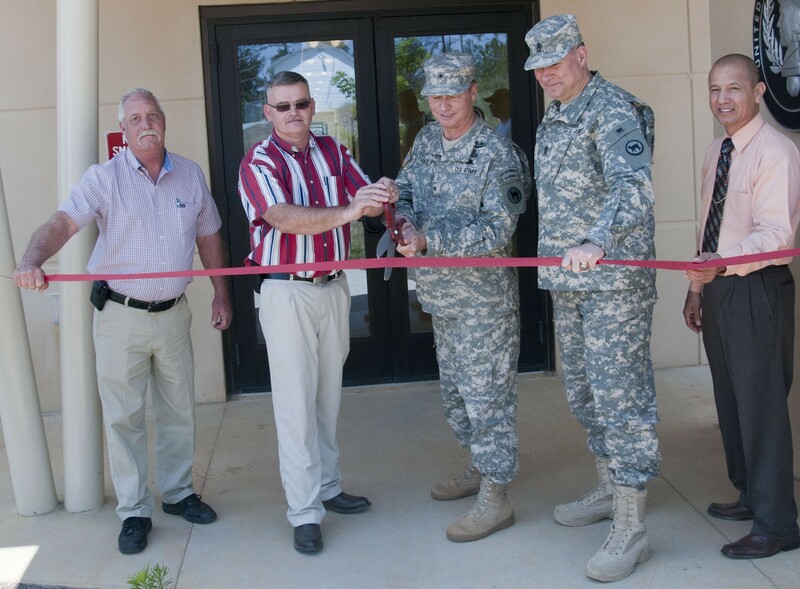 FORT BENNING, Ga. -- The 81st Regional Support Command conducted a ribbon cutting ceremony at their new Equipment Concentration Site 43 here on April 13, 2012. This $43 million building was constructed by the Army Corps of Engineers. The 197,297 square foot facility sits on 16 acres of land includes a maintenance facility and warehouse that stores approximately 110 units and 4,500 pieces of equipment such as rolling stock, engineer equipment, weapons and communication equipment. "I know for many of the employees here it was a bitter sweet thing when the BRAC happened in Atlanta," said Gothard. 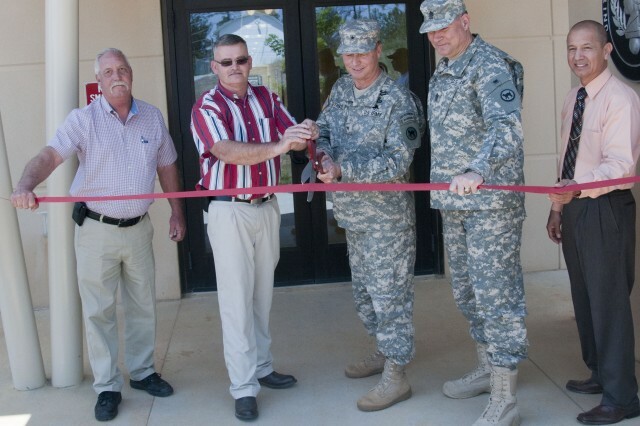 "A decision was made to move to Fort Benning but one of the advantages of that is we have this new beautiful facility that I would be proud to work in and I'm sure the employees are proud to work in." Gothard also spoke about what an important role the ECS's play for the Army Reserve. As we start to wind down the deployments there will be a lot of equipment flowing in and out of the equipment site. 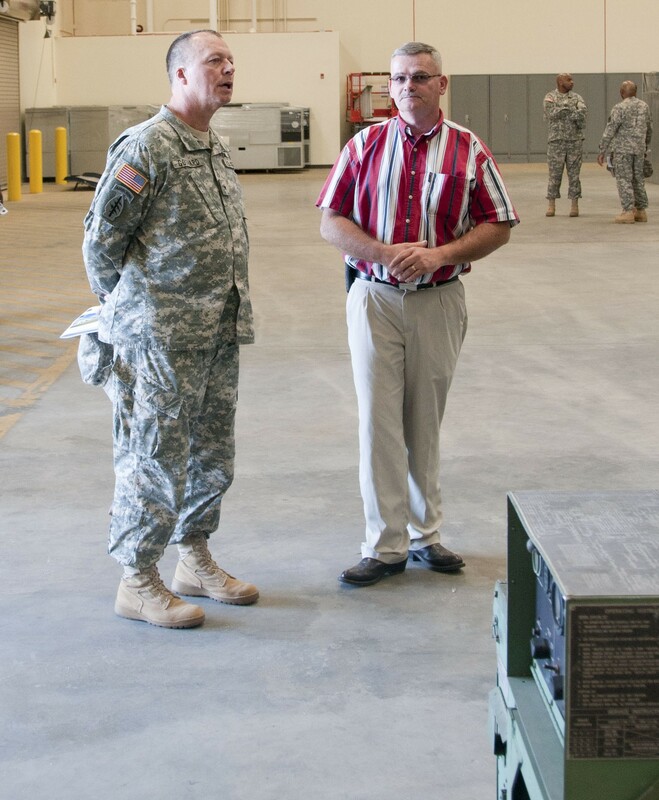 "The importance of our maintenance facilities and our storage facilities is we transformed the Army Reserve through the ARFORGEN process and that we continue to have cyclical deployment where we need equipment constantly flowing," said Gothard. "The business end of this from a logistic stand point will be more important than it has ever been," said Gothard. 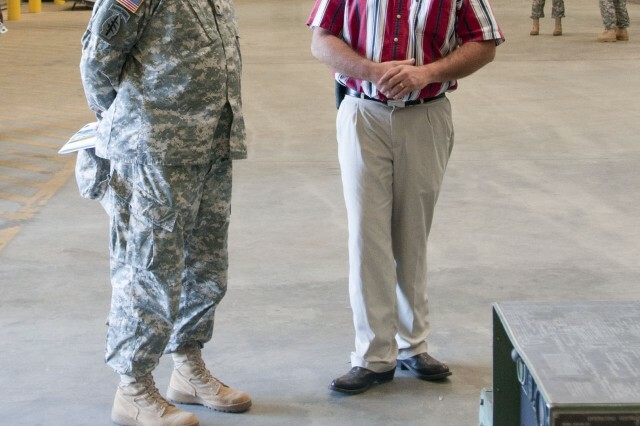 I'm certainly proud that we have a new facility for employees and to take care of business for the Army Reserves so that our soldiers who are out there getting their boots muddy everyday have the finniest equipment in the world." 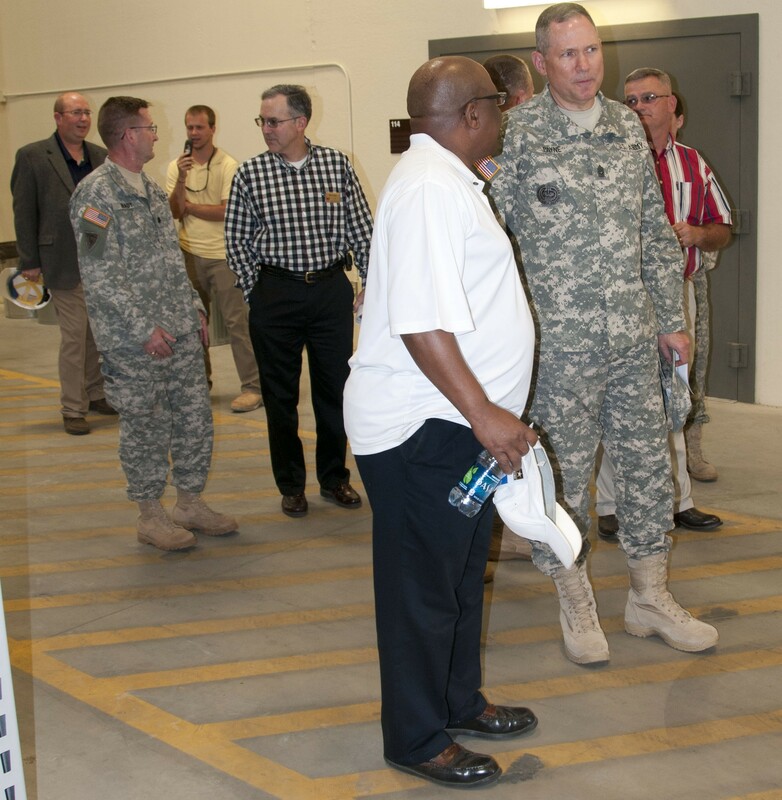 The process from relocating from Fort Gillem to Fort Benning was a challenge as it's explained by Mr. Darrell Shelton, manager for the ECS 43. 'This has been a trying time for ECS 43 coming up out of the BRAC and we went under many logistics and personal issues moving down here," said Shelton. "It was a long, drawn out, painful process but we made it through." Prior to Shelton becoming the manager he served as the ECS's general foreman. 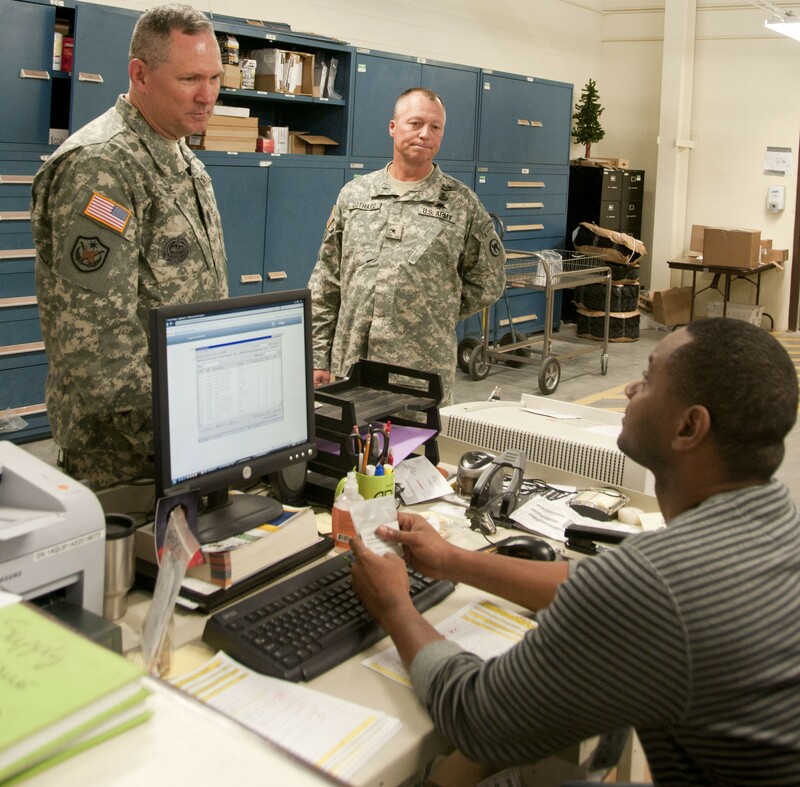 He knows firsthand the hard work it took to transition from Fort Gillem to Fort Benning. "We began this procedure back in February 2011 and I would like to applaud all the employees from ECS, not only did they give up personal time they gave up a lot of freedom. 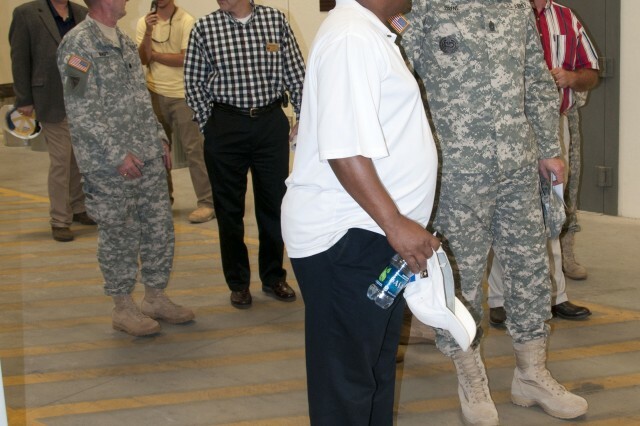 Most of them still live in Atlanta and commute back and forth to Fort Benning," said Shelton. The equipment at the site includes supplies used by 120 active and Reserve units in seven Southeastern states. The staff maintains vehicles, communication equipment and weapons including the M-16. 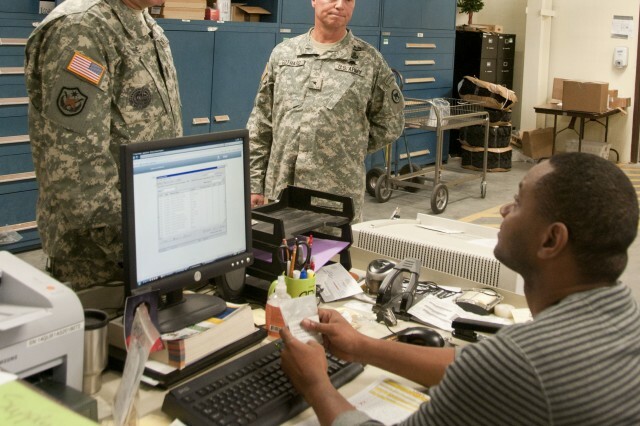 "This is a new beginning, I have the best crew in the 81st DOL working right here at the ECS 43 they make this place shine and make this the best ECS in USARC," said Shelton.